TORONTO, ONTARIO, February 15, 2017 – It’s no secret; the economy in Alberta is taking a beating. Albertans are carrying record levels of debt and insolvency continues to rise every quarter as Canadians try to stay afloat. The average Albertan owes $27,956 in consumer debt and Canadians as a whole owe $1.68 for every dollar of disposable income. Given the challenges of the economy and the rising debt levels because of it – the recession in Alberta has been a difficult one for many Albertans to shake. The current employment rate in Alberta rose 0.3 per cent to 8.8 per cent last month. As the workforce continues to shrink, many Albertans may be at their whit’s end trying to think of ways to not only manage their household finances, but also get a grip of their debt. “Many Albertans feel like they are at the edge of a financial cliff and some are forced to borrow their way through this recession,” says Jeffrey Schwartz, executive director, Consolidated Credit Counseling Services of Canada. “The economy in Alberta is struggling and if you are concerned about your job security, now is a good time to start to recession proof your finances,” says Schwartz. Don’t wait for an emergency to shake your finances to the very core. Instead, stay ahead of the game and create an emergency fund. Your emergency fund should have three to six months’ worth of living expenses saved. This way when an emergency arises – you will be prepared for the unexpected. 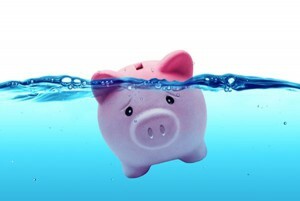 When your debt is high and your finances are low – it’s time to get in survival mode. So sit down and strip your budget to its bare bones. Ditch the discretionary spending (eating out, leisure, shopping sprees etc.). Focus only on your needs (food, shelter, insurance etc.) and not wants. Drop your bad spending habits and learn new healthy ones. Identify if you spend out of habit (e.g. office coffee runs) or out of boredom and make the necessary adjustments on your end. Alternatively, you might get further along by using a personal finance app like Mint to help you track all of the money you spend or download a comparison app like Flipp to help you find the best dollar deals to help you spend less. Once you start to cut back and have some new money in your budget, take your extras to your bank and watch your bank account grow! Make it easy for yourself by setting up automatic payments to a savings account through your bank. There’s a counsellor for virtually everything and your finances are no different. If your debt is weighing you down, seek help from a trained credit counsellor. A credit counsellor will help you to manage your debt and get you on the right track towards financial freedom.